“Remember” (2015 production, 2016 release). Cast: Christopher Plummer. Martin Landau, Bruno Ganz, Dean Norris, Jürgen Prochnow, Heinz Lieven, Henry Czerny, Liza Balkan, Peter DeCunha, James Cade, Sofia Wells, Jane Spidell, Stefani Kimber. Director: Atom Egoyan. 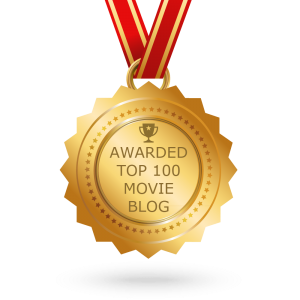 Screenplay: Benjamin August. Web site. Trailer. When does the cause of justice cross the line into the pursuit of vengeance? Even if the outcome in both instances turns out to be the same, doesn’t the intent leading to such a result make a difference? 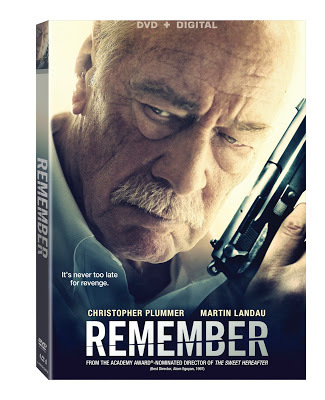 Those are thorny issues, to be sure, and they come center stage in the gripping suspense thriller, “Remember,” now available on DVD, Blu-ray disk and video on demand. Zev Guttman (Christopher Plummer) and Max Rosenbaum (Martin Landau) have much in common. The two octogenarians knew one another while incarcerated in Auschwitz, the infamous Nazi death camp, where they both lost their entire families. But, despite the horrors of this shared experience, Zev and Max managed to survive, eventually emigrating to America to build new lives. And now, all these years later, their respective odysseys have led them to become residents of the same New York City nursing home. Even though Max’s advanced years have plundered him physically, he’s still as sharp as ever mentally. Zev, meanwhile, is remarkably fit for his age, but the ravages of dementia have left him with severe memory loss issues – so devastating, in fact, that he can’t even remember the recent passage of his wife, Ruth. Given their conditions and histories, one might think Max and Zev would be content to live out their days in peace. But, unbeknownst to their friends and loved ones, some serious scheming is afoot, highly clandestine plans with tremendous potential for danger and manipulation. These plans carry serious risks for both men, too, but it’s especially perilous for Zev considering his fragile mental state. Not long after Ruth’s shiva ends, Max calls his friend aside to remind him of the plan they had agreed to carry out once Zev’s beloved had passed. In a detailed set of written instructions – prepared so that Zev would never forget them – Max outlines their crusade to hunt down the blockführer responsible for the deaths of their families in Auschwitz. Having worked with Simon Wiesenthal, the famed hunter of escaped Nazis, Max became aware that a number of fugitive war criminals evaded capture by adopting new identities (usually those of their Jewish victims) and quietly fleeing to America. For years, Max firmly supported Wiesenthal’s belief that such heinous offenders deserved to be put on trial in high-profile public proceedings in an aim to seek justice. But, after Wiesenthal’s death in 2005, and given the advancing age of the remaining fugitives (many of whom probably wouldn’t be physically able to undergo extradition and the rigors of formal proceedings), Max has since come to believe in taking more direct action – summarily eradicating the guilty, convinced that they would almost assuredly befall the same fate they would experience as a result of a trial verdict. Max is certain that the guilty party, Otto Wallisch, took the name Rudy Kurlander at war’s end. But the problem with tracking down Kurlander is that, apparently, four individuals in the US and Canada bear the same name. So who is the bona fide target? That’s what Zev must find out, and that’s where the detailed instructions come in. They’re so meticulously prepared that they make allowances for contingencies, giving Zev details about what to do if he should encounter the wrong individual while carrying out the plan. One might question why someone with dementia would be tapped for a task like this. However, considering Zev’s history and his mental state, Max sees him as the perfect choice, a sort of “Manchurian Candidate” with an apparent motivation for seeking revenge who can be prompted into carrying out his instructions without the “liability” of remembering what he did (or who put him up to it). And so, with his instructions in hand, Zev sets off on a journey spanning two countries in search of the man he’s been instructed to kill, even if he’s not sure of what he’s doing – or why he’s doing it. The narrative of “Remember” brings the matter of our beliefs – the means by which we manifest the reality we experience through the conscious creation process – front and center. Much of the time, our beliefs operate in the background, materializing our existence without much awareness on our part. Admittedly, this can be somewhat problematic in itself, leading to such precarious pursuits as un-conscious creation or creation by default, practices in direct conflict with the aim of making the manifestation process more intentionally “conscious.” However, should we manage to become more purposely aware of our beliefs and what they yield, we have a greater opportunity to realize exactly what we envision. In Max’s case, though, such heightened, deliberate awareness would appear to be directed toward the fulfillment of a somewhat questionable goal. While conscious creation indeed makes all options for manifestation possible, for better or worse, it’s still incumbent upon each of us to scrutinize the beliefs we employ, especially with regard to what we intend them to materialize. That’s certainly true where Max’s plan is concerned, partly because of its outcome and partly because of the methods being used to achieve it. Then there’s Zev’s role in this scenario. Why is he involved? Is his belief in revenge the principal motivation here? Superficially speaking, some might say yes, but, given his personality – very much that of a kindly, grandfatherly sort – and his actions – which seem to be dictated purely by his written instructions and not any volition of his own – he hardly seems like a crusading vigilante type. In fact, given his mental state, he seems to require nearly constant reminding to keep him on track, not the kind of behavior one would readily associate with somebody hell-bent on exacting vengeance. More importantly, given Zev’s dementia, one might legitimately wonder why he would create such a condition in the first place. Is it to forget a painful past? Is it to disavow the sadness of recent events? Is it to dull his senses to the acts he’s about to perform? Is it a combination of these elements? Or is it something else entirely? That’s something Zev must come to terms with for himself, no matter how difficult or perplexing it may be. For Zev and Max, just like any of us, getting to the bottom of the beliefs that create our reality requires us to take a look at what prompted their formation, namely, the input provided by our intellect and intuition and how much stock we place in that information. In Max’s case, for example, he’s certain about the course he’s pursuing, and he’s comfortable with what he’s seeking to manifest, no matter how others might see it. But what makes him so sure of himself? 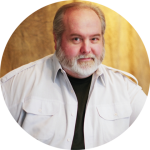 From a conscious creation perspective, it would seem that he’s exceedingly confident in the validity of the input that led to the formation of those underlying beliefs, even if he doesn’t share his insights into what has prompted him to think this way. And, when someone is that self-assured about what they’re doing, they just might know something the rest of us don’t. This naturally raises issues about judgment. The beliefs that many of us hold about justice and vengeance may cause us to look at Max’s plan with skepticism, perhaps even disdain. But are those contrary views necessarily correct? One of the chief aims of the conscious creation process is to reveal the truth, and, if someone is so set on achieving a particular objective, as Max is, then maybe there are significant revelations that need to emerge through its materialization. Should someone like that be proven correct, that, in turn, should give us pause to reassess our own beliefs, particularly any associated with judgment. We may find our assumptions, and the beliefs behind them, are not as fully informed as they need to be. Revelations like this frequently lead to the vanquishing of such conditions as blind ignorance and entrenched denial.  That, in itself, can be viewed as a worthwhile goal, even if the means for achieving it (and the beliefs underlying it) might be considered somewhat dubious. Again, this is where a rush to judgment may prove problematic until everything comes out. And, at that point, matters could very well be seen in an entirely new light. Even with what many would see as a rightful justification for their actions, can the vengeance Max and Zev seek be sanctioned? Most would likely say no, even under these circumstances. But, given the foregoing, one should not be too hasty to judge, especially when elements of the plan prove to be more brilliantly conceived than anyone could have possibly imagined. “Remember” is a knock-out from start to finish, with phenomenal performances by Plummer, Landau and a superb supporting cast, as well as a host of intriguing cinematic allusions. As viewers will surely find, not everything is as it seems, with twists and turns that will shock, surprise and give one serious pause to think, and therein lies the genius of this picture as one of the most adeptly told suspense thrillers to have graced the screen in a long time. Despite the picture’s troubling subject matter, it’s hard to take one’s eyes off of this one, with its narrative effectively holding a taut level of tension right up until the very end. But, most of all, there’s much to ponder beneath the surface of the film’s story line, leaving viewers with much to consider upon its conclusion. Don’t miss it. The search for justice is often a struggle, especially when it’s tied to such emotionally charged incidents as the Holocaust. With the passage of time, bringing the guilty to justice has grown increasingly difficult, too, adding to that aforementioned frustration. So, to achieve that goal, those who champion the cause must increasingly pursue creative solutions, employing unconventional methods or plans not previously tried. But, as long as the intent is a noble one, the truth will come out, and justice will be served.